This is a relatively new requirement, so if you’ve visited and watched the Haleakala sunrise before, this might come as a shock to you (as it did to me). 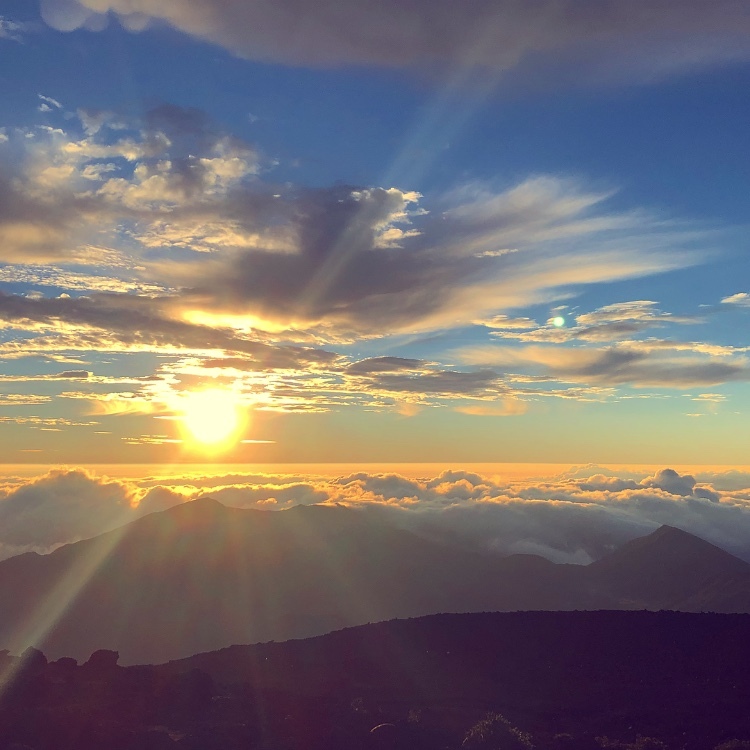 You now have to make a reservation to see the Haleakala sunrise (don’t worry, it only costs you $1.50 to book this reservation – but you still do have to pay the $25/car for access to the park for three days). There are limited spots available, and it’s best if you book in advance. If you’re like me and you don’t read anything until a few days before you leave, you’re in luck! Two days before the desired day (so if I want to see the sunrise on Sunday, we’re talking about Friday), at 4 p.m. Hawaii Standard Time, approximately 80 sunrise spots will become available. But book fast! The day I booked, I checked back again at 4:08 p.m., just out of curiosity, and all 80 spots were snatched up! You’ll have spotty service for the majority of the way to Haleakala, so it’ll probably be a good idea to download Google Maps in advance. To do this, type “Maui” into the search bar, click on the white section at the bottom of the screen, and tap the download option that comes up! Make sure you’re connected to Wi-Fi as it downloads, and keep the app open to have it download faster. By doing so, you’ll be able to use Google Maps whether or not you have service. Tip 3: Wake Up at 2 a.m. It would be absolutely terrible if you woke up early and missed the sunrise, just like we did. We were staying in Lahaina and woke up at 3:30 a.m. Google Maps told us it would be a one-and-a-half-hour drive, so if we left by 4 a.m, we would make it there by 5:30 a.m. – half an hour before the sunrise at 6 a.m. In theory, that is correct. But that’s only in theory. First of all, the light from the sunrise appears before the sun actually rises above the horizon. So if you want to see the actual change from pitch black to the colorful light, you’ll want to get there early. 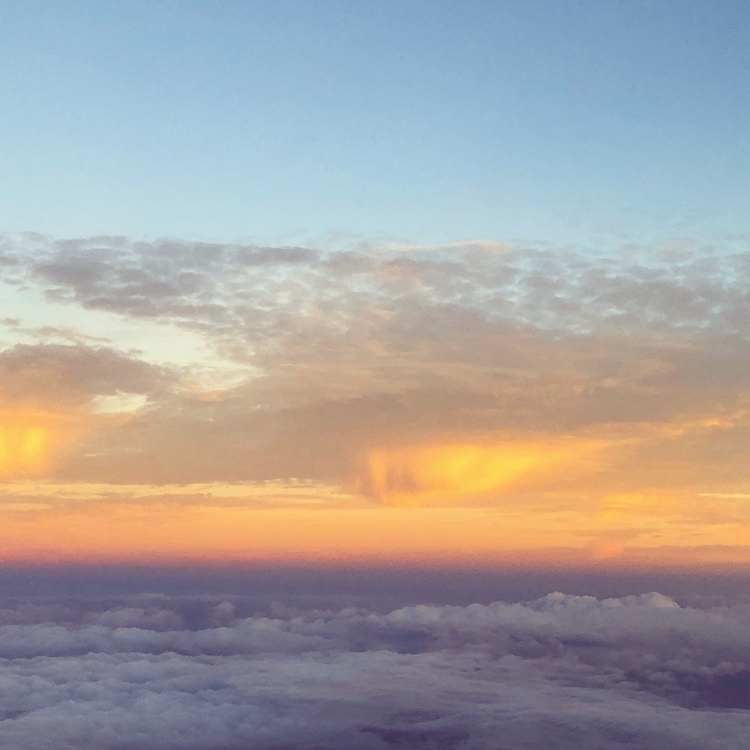 Second, because you will be watching the sunrise from a higher altitude, you’ll actually see the sunrise a few minutes before you would see it from sea level. Crazy, right? I definitely did not take that into consideration. Third, Google Maps will fail you. Honestly, it was bound to happen someday. Yes, Google Maps will get you to Haleakala. Yes, it will technically take you an hour and a half – but that only gets you to the entrance booth, not the summit. It takes another half an hour to get to the summit. So in total, the drive is actually two hours. Bottom line: wake up at 2 a.m. if you actually want to see the sunrise at Haleakala. Yes, you are in Hawaii. Yes, Hawaii is usually warm. But you will also be 10,000 feet high, so it will get quite cold. It can actually get 20 to 30 degrees (Fahrenheit) colder than it is at sea level. At the bare minimum, bring jeans and a sweatshirt, but even in that I was freezing. 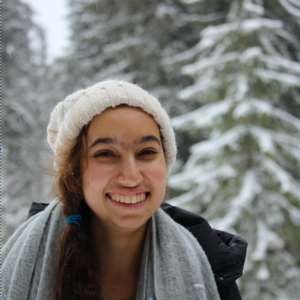 I was really wishing I’d brought a puffy jacket or a beanie like some other visitors had done. But at least I wasn’t in shorts and a t-shirt. 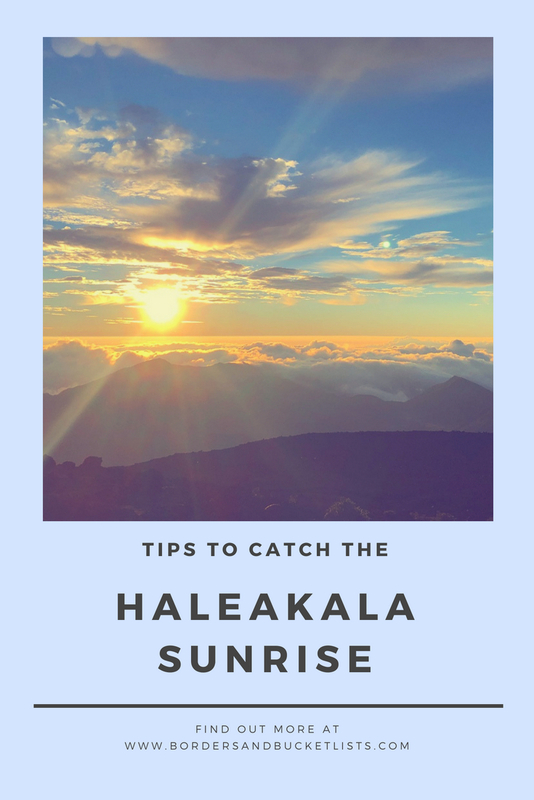 If you follow these tips, odds are, you’ll catch the Haleakala sunrise. But if for some reason you don’t, be positive about the situation! 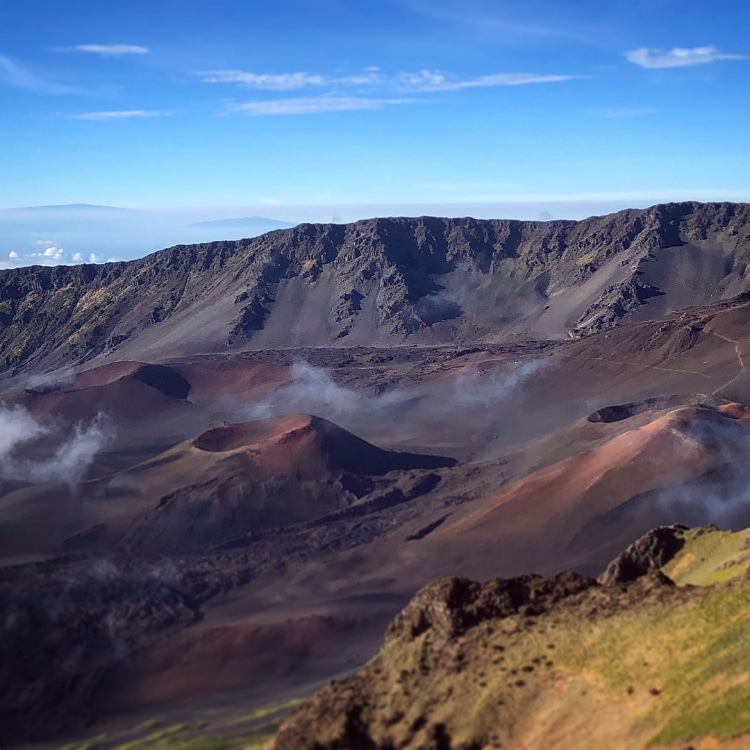 You still get to explore the tallest mountain on Maui – one that used to be a volcano! Check out the rare silversword plants, get a glimpse of the craters, and buy a patch from the visitor center (yes, they’re open that early). Have you ever watched the Haleakala sunrise? What was your experience like? Write about it below in the comments! I’m not an early morning person but to get that great sunrise shot you’ve got to give it your all! Awesome tips here, seeing this sunrise must be incredible! We’re actually the last ones to see the sunrise, but that might make it more special :). Great tips. It turned out to be cloudy the morning we went so we didn’t see anything 🙁 We also underestimated just how cold it was gonna be…it’s freezing up there. Aw man, that’s such a bummer! Sometimes the clouds get to be fun colors, but yeah, other times they block everything. Very helpful post! I’d never have expected needing to make a reservation to see a sunrise! Thanks for sharing. Me neither!! I was so grateful for those last minute spots! Omg I can’t believe you have to book it now! Good to know!! And good advice to get up at 2am, as super early as that is….I’m sure it’s worth it! I really need to go to Maui next! So far I’ve only been to Kauai and Oahu! This sunrise looks incredible. Maui is definitely worth a trip :). waking up at 2am seems hella early but this view may just be one that will help me do it! nice post Sarah – can’t wait to get to Hawaii!! Thanks so much! And trust me – 2 a.m. is necessary lol. I had no idea you had to make a reservation now, that’s so helpful to know! It took us until our second trip to Maui to see this. We’d planned to go on our first trip, but that was a few years back when the gov’t shut down happened and they closed down all the national parks. It was such a bummer, I was so glad we could go back and see it! Truly a beautiful experience! I’m so glad you got to see it eventually! Still cannot believe I’ve never made it to Hawaii. But I have to change that one day soon and when I do I’d love to get up to see this sunrise. Yes! You definitely have to make it to Hawaii one day! Thank you so much! I totally agree :). This looks like such an amazing place and while 2 am is an early wake up time I think it would be worth it. And good to know that you have to make a reservation.wouldn’t want to get there just to be turned away. Great post. I know, right?! I felt so bad for the cars driving back DOWN the mountain at like 5 a.m.
Tough trip but totally worth it! Yay glad to know I could help! Oh my gosh 2 am, I sound so old because I would be exhausted haha! I would definitely pull an all-nighter to see it though, it looks amazing and is a once in a lifetime experience! Worth it! Lol I was exhausted even waking up at 3:30! Same!! On one trip to Barcelona, I didn’t book anything in advance, so I missed out on La Sagrada Familia and Gaudi Park! You really have to be motivated to wake up so early to watch the sunrise! However it’s not every day that you get the chance to welcome a brand new day in a special place. Kudos to you for making it and watching one of Mother nature’s finest shows and gifts! *almost making it lol. But that’s still pretty good to me :).